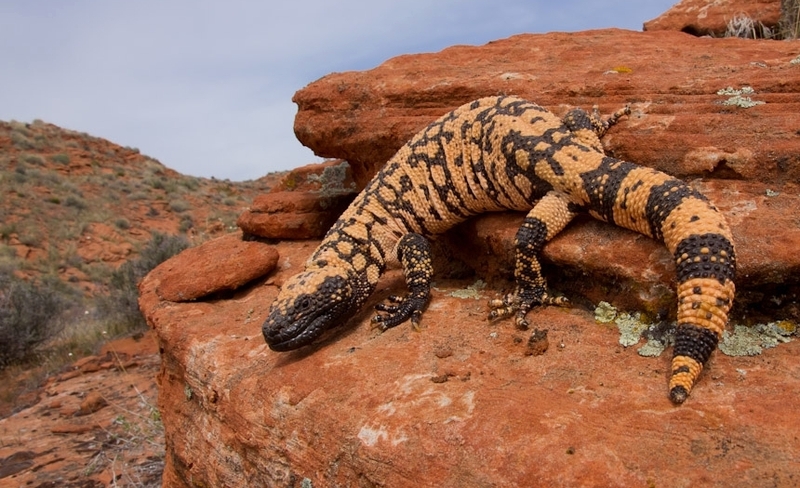 A primary focus of our work here at Professional Breeders is in the colony development and selective breeding of Gila Monsters. 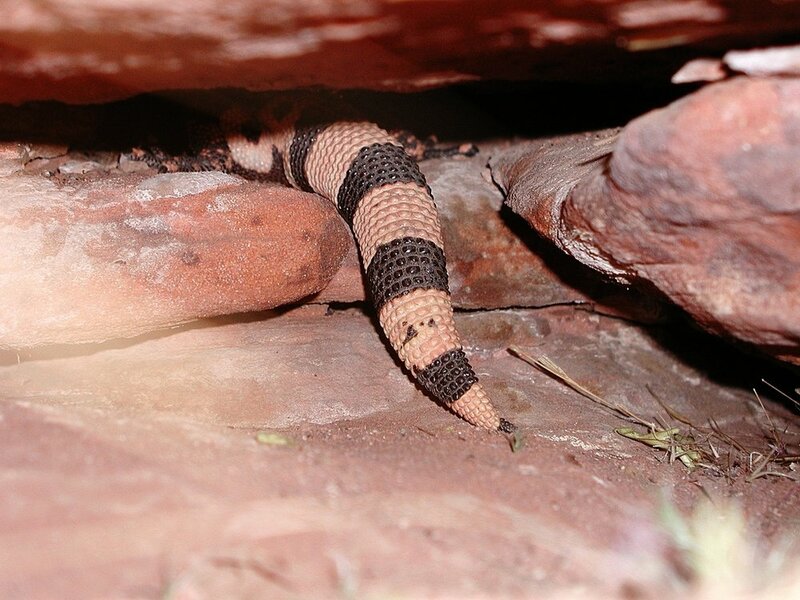 Our Utah Banded Gila Monster founder stock originates from the extreme northern tip of the established cinctum range in Washington County, Utah. 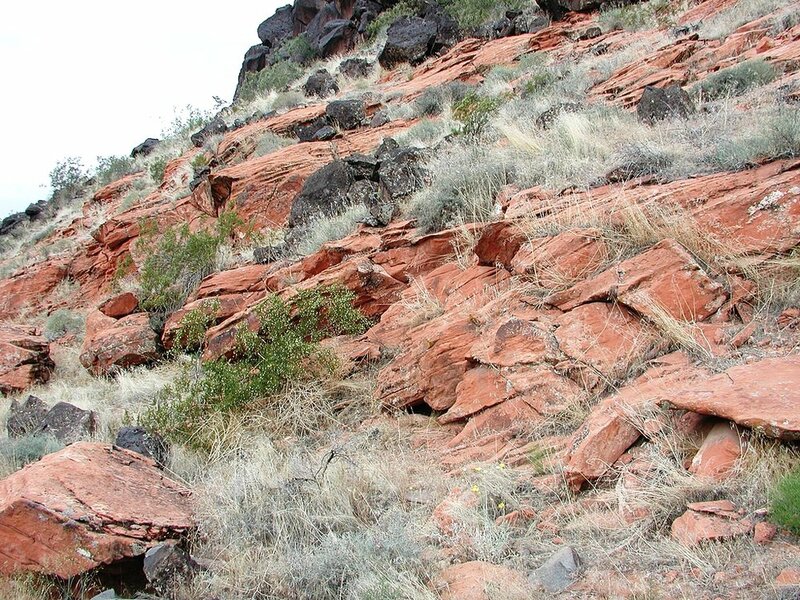 The naturally occurring color and pattern examples and associated genetics from this far north locality are considered the most extraordinary for Banded Gila Monsters. See the excerpt below for the description of Heloderma suspectum cinctum, first described as a new subspecies of Heloderma in 1956. We have established six unrelated maternal bloodlines in the colony that are producing annually. All of the members of the adult colony display the classic mottled salmon-pink or intensified orange coloration on a black ground color. At birth, hatchlings are chalk-white and black banded. In the first few weeks after hatching each offspring begins an ontogenetic change to the adult color and banded pattern, a process that continues through the fourth year of life. Selective 5th generation breeding for classic pattern refinement and extremes of high percentage pink or orange coloration is our objective, as well as the development of rare and unique patterns as with examples shown below. We are excited about the extraordinary hatchlings being produced as a result of this process. 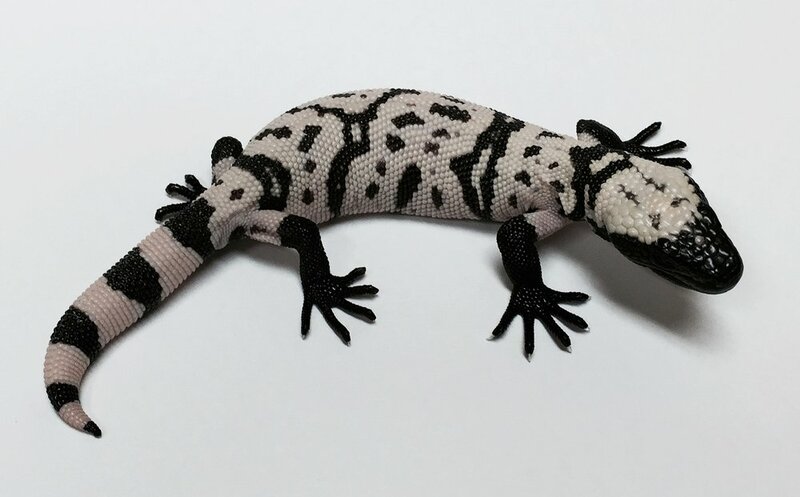 Our efforts have resulted in over 750 Gila Monster hatchlings produced and sold since 1982. 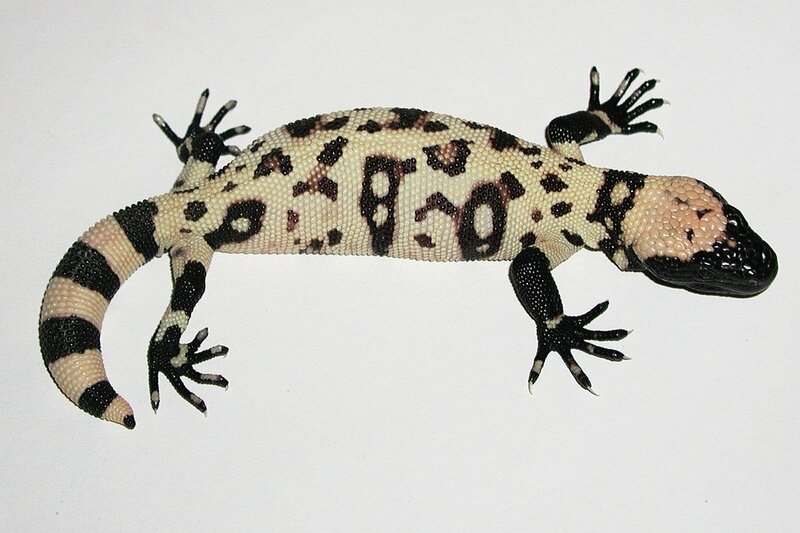 This work continues to set the standard for extreme color and pattern traits in Gila Monsters and contributes to the expanding herpetoculture interest in Heloderma. Adult colony specimens and hatchling examples produced in previous years are shown above and below.